Download "WEB DESIGN SYLLABUS. 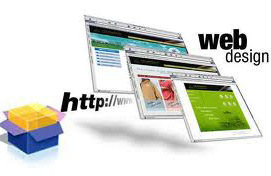 Are you ready to create your own website? Demonstrate how you are an ethical and effective user of technology!" 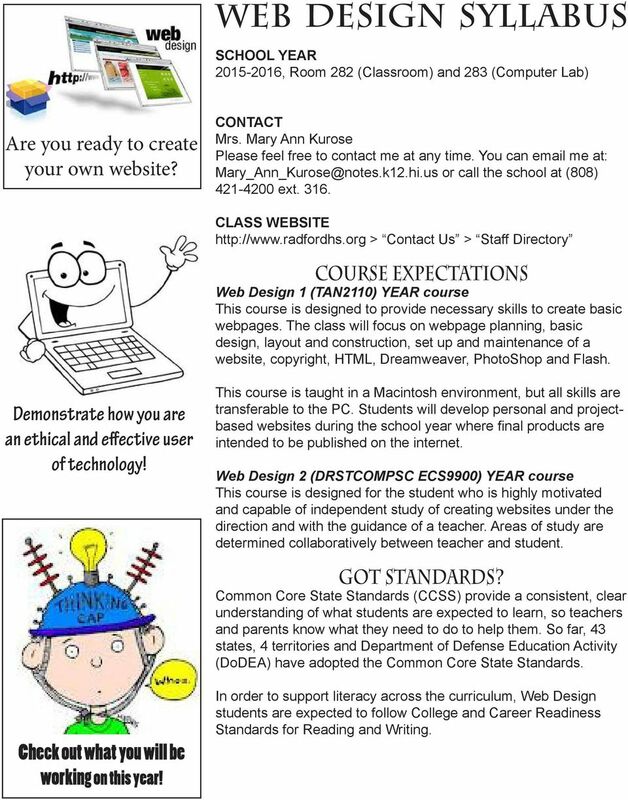 1 WEB DESIGN SYLLABUS SCHOOL YEAR , Room 282 (Classroom) and 283 (Computer Lab) Are you ready to create your own website? CONTACT Mrs. Mary Ann Kurose Please feel free to contact me at any time. You can me at: or call the school at (808) ext CLASS WEBSITE > Contact Us > Staff Directory COURSE EXPECTATIONS Web Design 1 (TAN2110) YEAR course This course is designed to provide necessary skills to create basic webpages. The class will focus on webpage planning, basic design, layout and construction, set up and maintenance of a website, copyright, HTML, Dreamweaver, PhotoShop and Flash. Demonstrate how you are an ethical and effective user of technology! This course is taught in a Macintosh environment, but all skills are transferable to the PC. 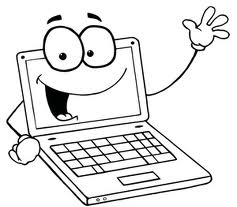 Students will develop personal and projectbased websites during the school year where final products are intended to be published on the internet. Web Design 2 (DRSTCOMPSC ECS9900) YEAR course This course is designed for the student who is highly motivated and capable of independent study of creating websites under the direction and with the guidance of a teacher. Areas of study are determined collaboratively between teacher and student. Got Standards? Common Core State Standards (CCSS) provide a consistent, clear understanding of what students are expected to learn, so teachers and parents know what they need to do to help them. So far, 43 states, 4 territories and Department of Defense Education Activity (DoDEA) have adopted the Common Core State Standards. Check out what you will be working on this year! 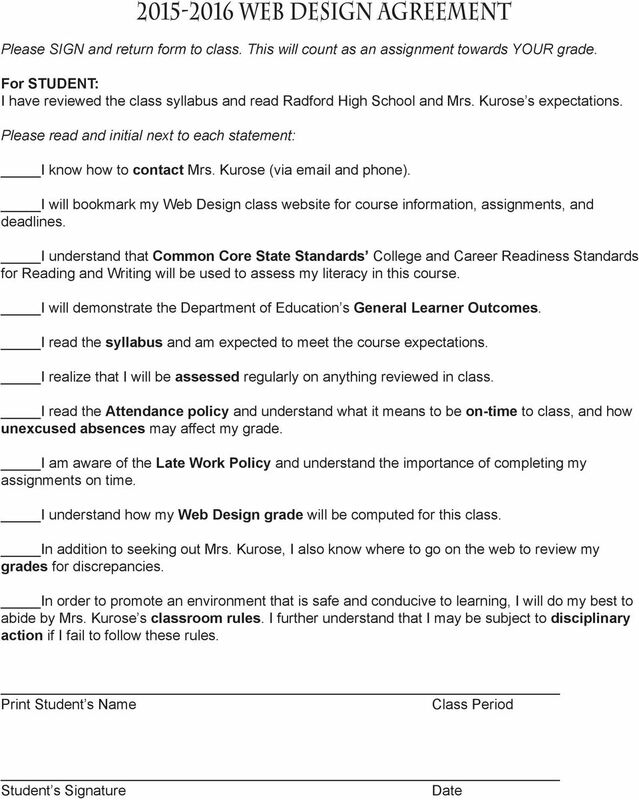 In order to support literacy across the curriculum, Web Design students are expected to follow College and Career Readiness Standards for Reading and Writing. 2 Know your GLOs General Learner Outcomes are goals for all students in all Department of Education schools across the state. These are observable behaviors, which are demonstrated in daily classroom activities. During the school year, students will be expected to show the following set of GLOs: a) Self-Directed Learner d) Effective Communicator b) Community Contributor d) Quality Producer c) Complex Thinker f) Effective and Ethical User of Technology Don t forget your supplies for this class! Read how you can get your A! SUPPLIES You may bring to class a) Earphones (required if you plan to listen to music) b) One box of facial tissues (optional) CLASSWORK & HOMEWORK ASSIGNMENTS Practice, practice, practice Students will familiarize themselves with the Macintosh computer, computer and internet basics, and World Wide Web compliancy guidelines. Soon enough, students will segue into learning Hyper Text MarkUp Language (HTML). It is important that students are in class since this is primarily made up of tutorial work and daily assignments that are covered in class. Class time will be given to practice these new skills through mini-assignments. Google Students will be using Google Classroom to view and submit assignments. 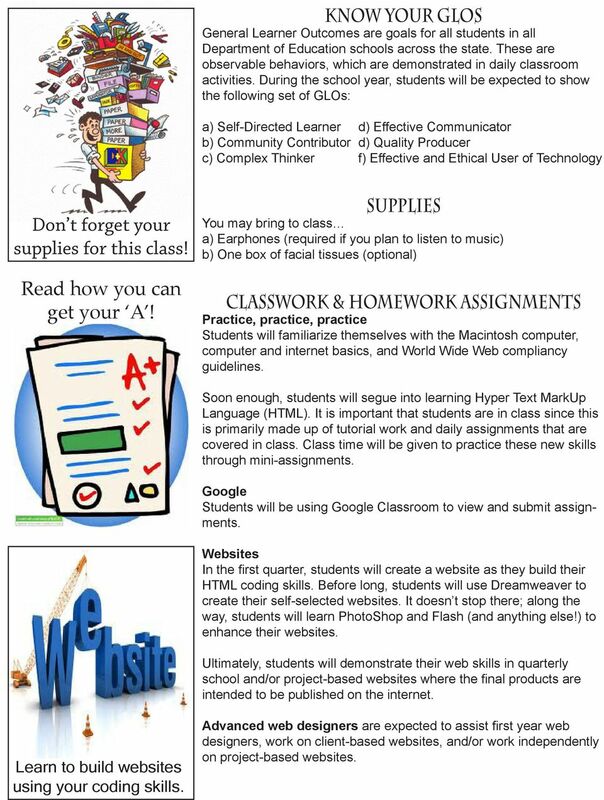 Websites In the first quarter, students will create a website as they build their HTML coding skills. Before long, students will use Dreamweaver to create their self-selected websites. It doesn t stop there; along the way, students will learn PhotoShop and Flash (and anything else!) to enhance their websites. Ultimately, students will demonstrate their web skills in quarterly school and/or project-based websites where the final products are intended to be published on the internet. Learn to build websites using your coding skills. Advanced web designers are expected to assist first year web designers, work on client-based websites, and/or work independently on project-based websites. 3 ATTENDANCE Tardies: 1. Arrive to class on time and be in your seat BEFORE the tardy bell rings. If the door is closed, do NOT interrupt the class with your incessant knocking. Wait for the door to open. On lockout days, you are expected to report to the cafeteria before class admittance. Refer to planner for lockout consequences. 2. If you are not in your seat when the tardy bell rings, you will be marked TARDY. 3. The following procedure will be followed for UNEXCUSED tardies: 2 tardies: Teacher discipline internally; call home 3 tardies: Referral to counselor 4 tardies: Referral to VP Absences: 1. Upon returning from an absence, you have 3 DAYS to bring a note excusing your absence. 2. 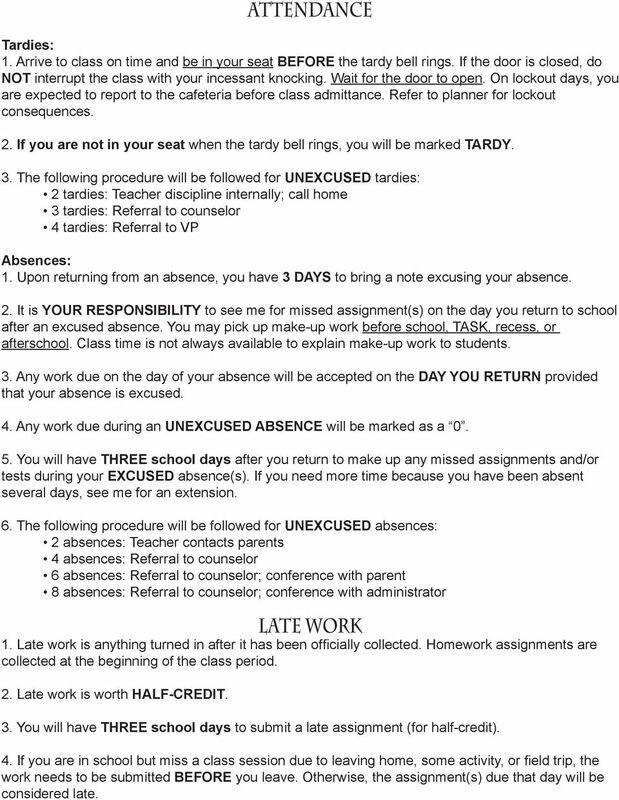 It is YOUR RESPONSIBILITY to see me for missed assignment(s) on the day you return to school after an excused absence. You may pick up make-up work before school, TASK, recess, or afterschool. Class time is not always available to explain make-up work to students. 3. Any work due on the day of your absence will be accepted on the DAY YOU RETURN provided that your absence is excused. 4. Any work due during an UNEXCUSED ABSENCE will be marked as a You will have THREE school days after you return to make up any missed assignments and/or tests during your EXCUSED absence(s). If you need more time because you have been absent several days, see me for an extension. 6. The following procedure will be followed for UNEXCUSED absences: 2 absences: Teacher contacts parents 4 absences: Referral to counselor 6 absences: Referral to counselor; conference with parent 8 absences: Referral to counselor; conference with administrator LATE WORK 1. Late work is anything turned in after it has been officially collected. Homework assignments are collected at the beginning of the class period. 2. Late work is worth HALF-CREDIT. 3. 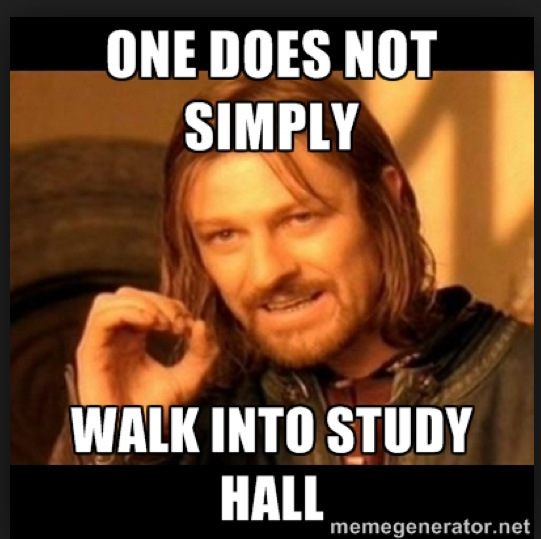 You will have THREE school days to submit a late assignment (for half-credit). 4. If you are in school but miss a class session due to leaving home, some activity, or field trip, the work needs to be submitted BEFORE you leave. Otherwise, the assignment(s) due that day will be considered late. 4 TASK TASK (Tutorial Assembly Study K[C]lub) is a 30-minute session offered twice a week every Wednesday and Friday. TASK may be used to make up missed work, re-take assessments, seek additional help outside of class time, and/or use classroom resources (computers). Students are encouraged to make arrangements and see me for a TASK pass. Passes are required prior to coming in for TASK. 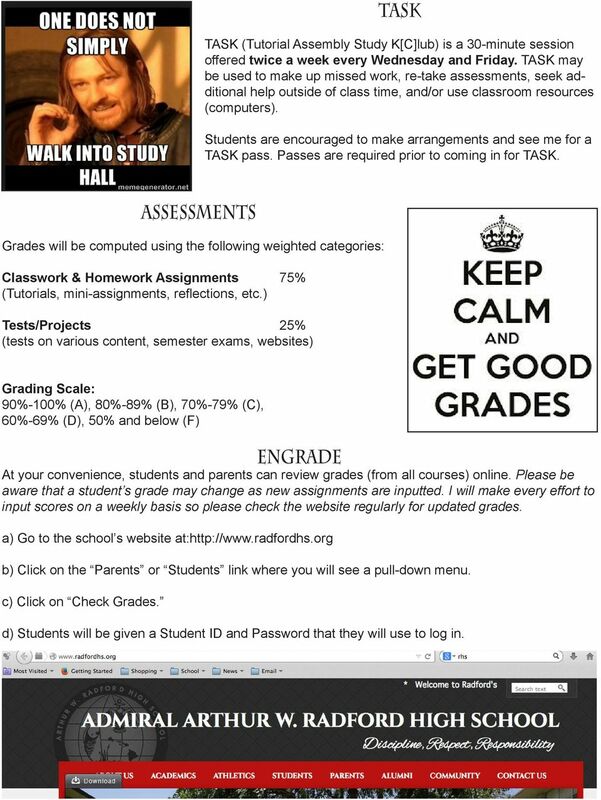 ASSESSMENTS Grades will be computed using the following weighted categories: Classwork & Homework Assignments 75% (Tutorials, mini-assignments, reflections, etc.) Tests/Projects 25% (tests on various content, semester exams, websites) Grading Scale: 90%-100% (A), 80%-89% (B), 70%-79% (C), 60%-69% (D), 50% and below (F) ENGRADE At your convenience, students and parents can review grades (from all courses) online. Please be aware that a student s grade may change as new assignments are inputted. 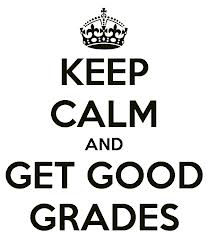 I will make every effort to input scores on a weekly basis so please check the website regularly for updated grades. a) Go to the school s website at: b) Click on the Parents or Students link where you will see a pull-down menu. c) Click on Check Grades. d) Students will be given a Student ID and Password that they will use to log in. 5 CLASSROOM RULES Rules: 1. Demonstrate respect. Show respect for teacher(s), guest(s), school property, other students, and yourself. 2. No itchy fingers. No touching of other people and/or their belongings. 3. Watch your language. Profanity, sexual remarks, put-downs, etc. will not be tolerated (even in jest). 4. Be responsible. 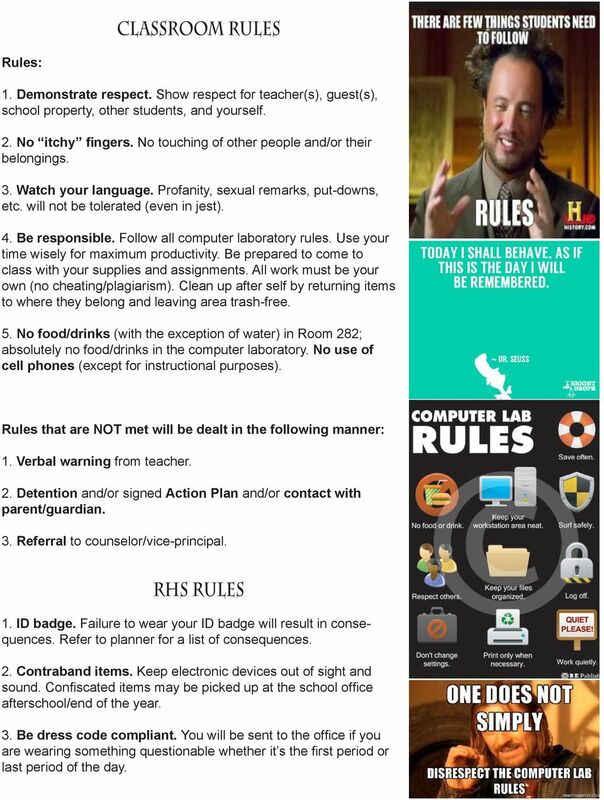 Follow all computer laboratory rules. Use your time wisely for maximum productivity. Be prepared to come to class with your supplies and assignments. All work must be your own (no cheating/plagiarism). Clean up after self by returning items to where they belong and leaving area trash-free. 5. No food/drinks (with the exception of water) in Room 282; absolutely no food/drinks in the computer laboratory. No use of cell phones (except for instructional purposes). Rules that are NOT met will be dealt in the following manner: 1. Verbal warning from teacher. 2. 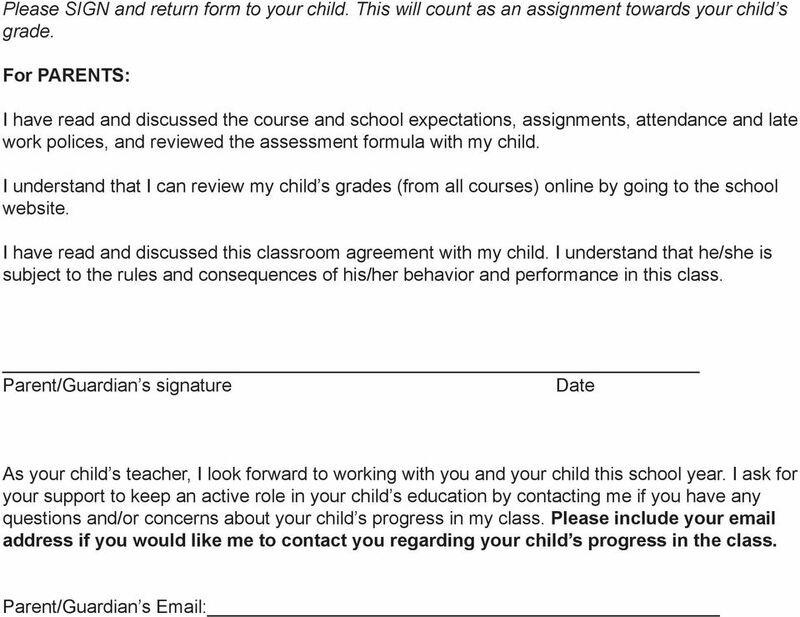 Detention and/or signed Action Plan and/or contact with parent/guardian. 3. Referral to counselor/vice-principal. RHS Rules 1. ID badge. Failure to wear your ID badge will result in consequences. Refer to planner for a list of consequences. 2. Contraband items. Keep electronic devices out of sight and sound. Confiscated items may be picked up at the school office afterschool/end of the year. 3. Be dress code compliant. You will be sent to the office if you are wearing something questionable whether it s the first period or last period of the day.